Gardening can be a therapeutic way to relieve stress, achieve some quality alone time, and bask in the beauty of nature. 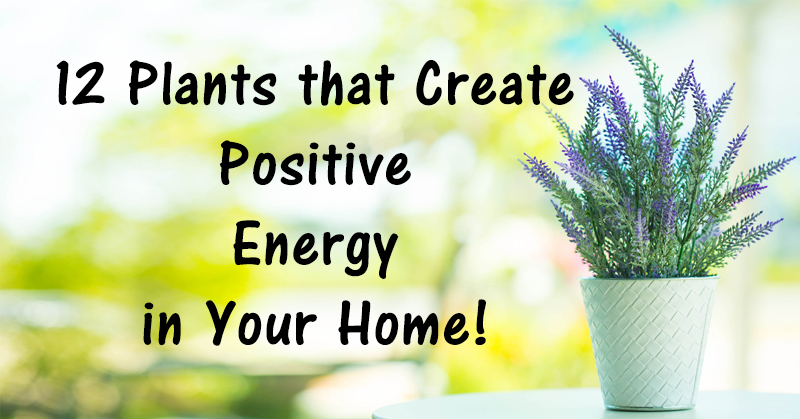 A backyard garden can add character and beauty to your home, while you reap the benefits of your hard work with natural and delicious foods and herbs to enjoy. 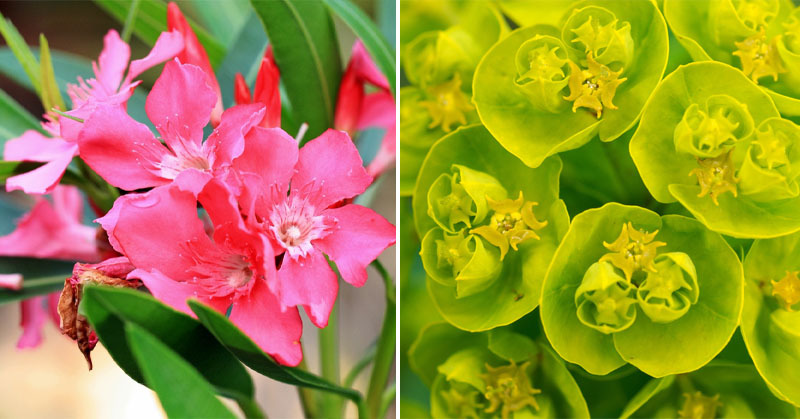 There are gardening enthusiasts, and there are those who don’t exactly have a green thumb, but they would love to see a garden in their yard. 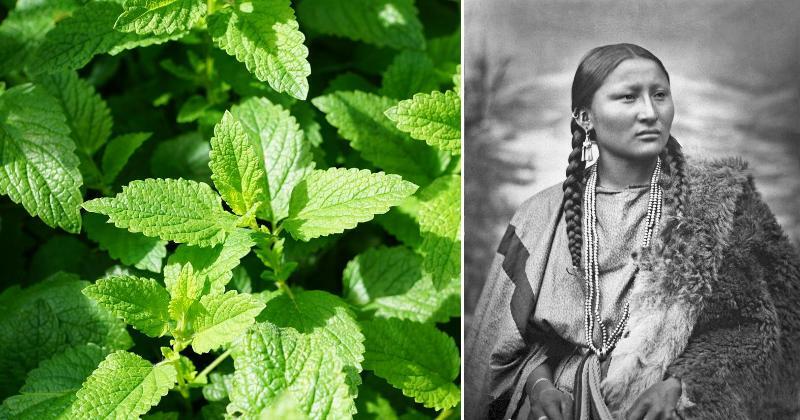 If you identify with the latter, but you shy away from gardening from fear that your plants might not grow healthy and strong, these tips and tricks were made for you! Use these clever gardening hacks to ensure a beautiful and successful garden. 1. Use a muffin tin as a planting guide. 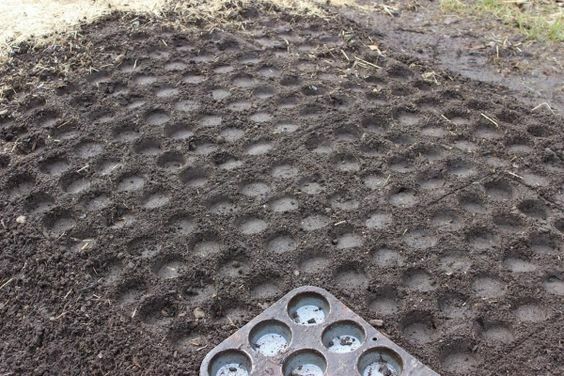 A muffin tin may be meant for baking, but in your garden, it can be used to create a perfect grid to guide you when planting your seeds. You’ll know exactly where to put them and how to space them out! 2. 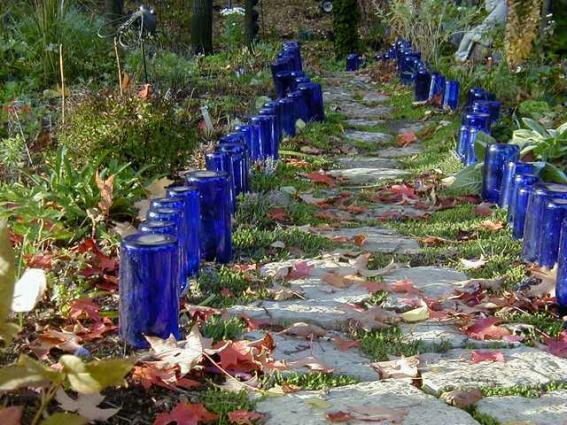 Use glass bottles to form a path. If you have kids who love to play outside, use glass bottles to let them know where to step. Form a path using the bottles to make sure your garden doesn’t get trampled! 3. 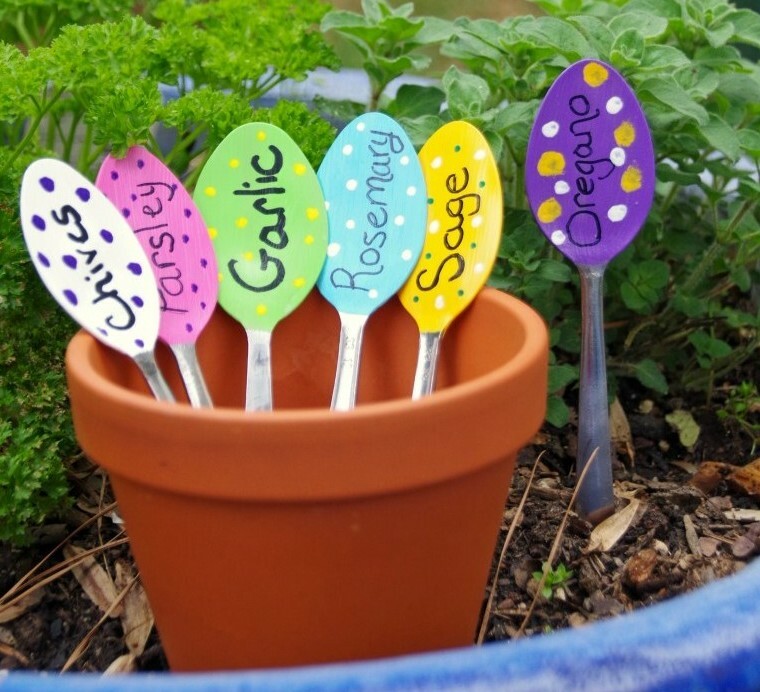 Create garden markers using a hammer and some old spoons. 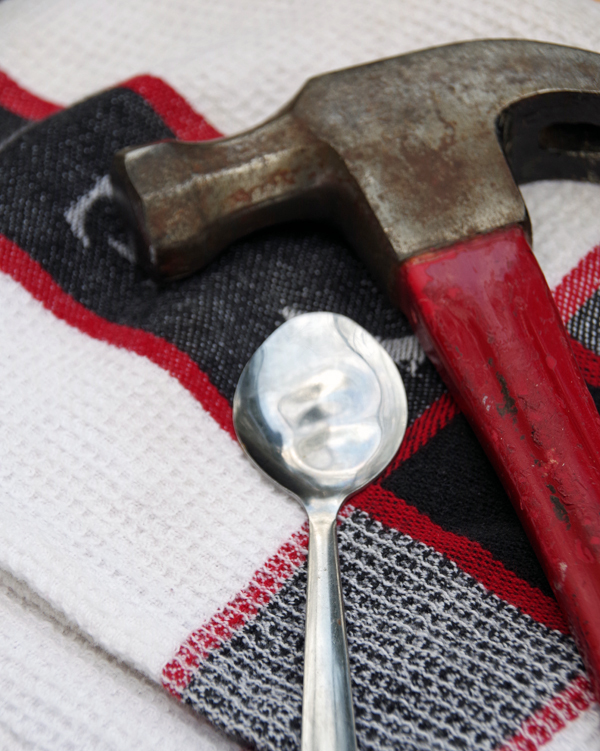 Carefully flatten some old metal spoons with a hammer, then grab some colorful paint and get creative! Don’t they make the coolest garden markers? If you don’t have any old silverware lying around, plastic spoons work too! 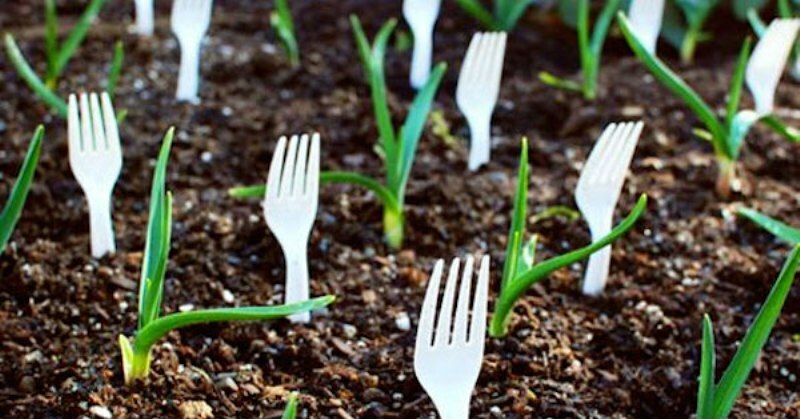 Next time you get takeout, save the spoons to use in your garden. 4. 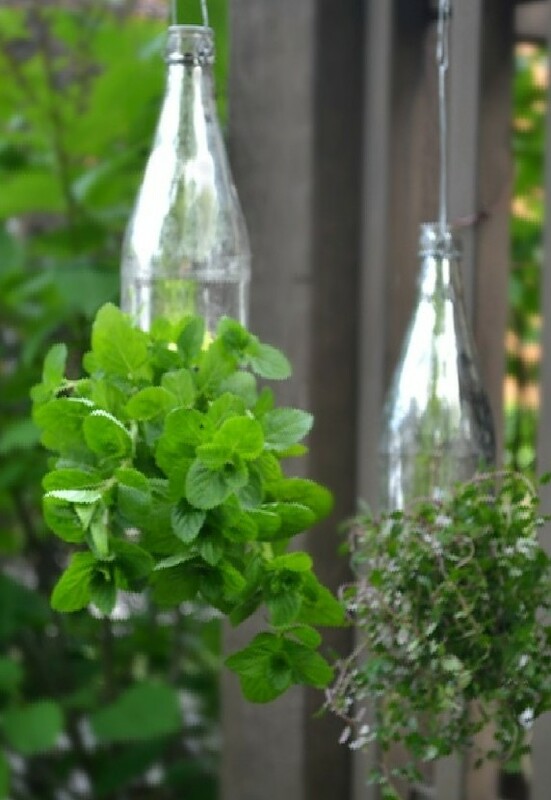 Keep your plants hydrated using old bottles. What to do with an empty wine bottle? 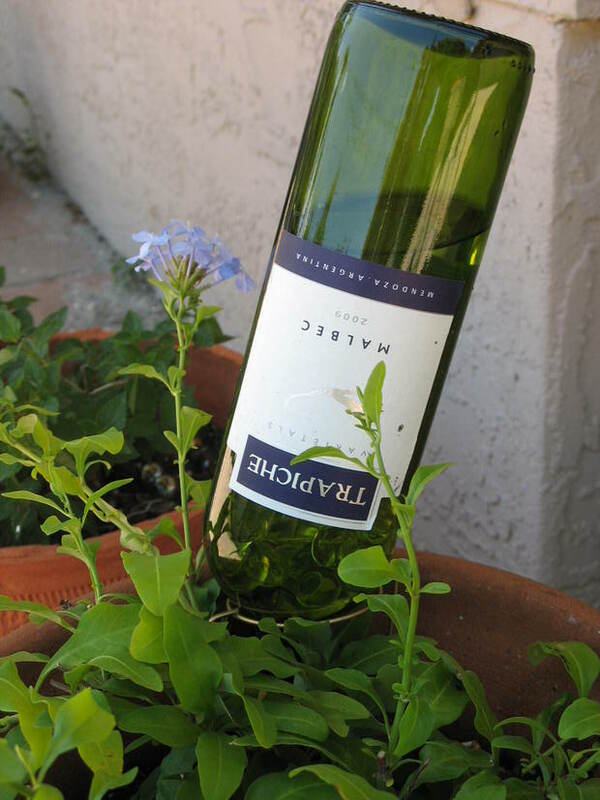 If you’re worried that your plants aren’t getting enough water, fill an old bottle with water and place it upside down in your plant! 5. 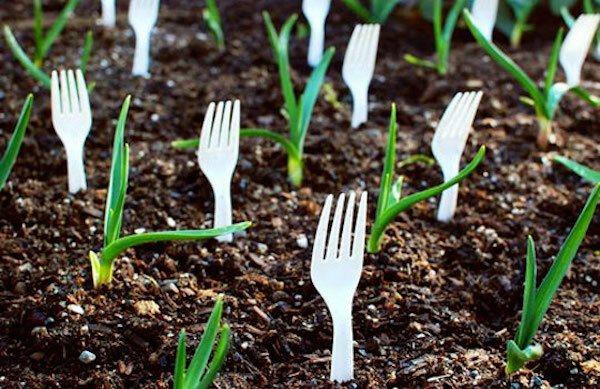 Use plastic forks to fortify your garden. If you have unwelcome visitors in your garden chewing on your plants, stick forks in your garden — pronged side up — to keep invaders out! 6. 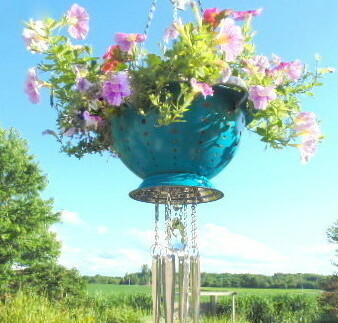 Turn a colander and silverware into a planter and wind chime. 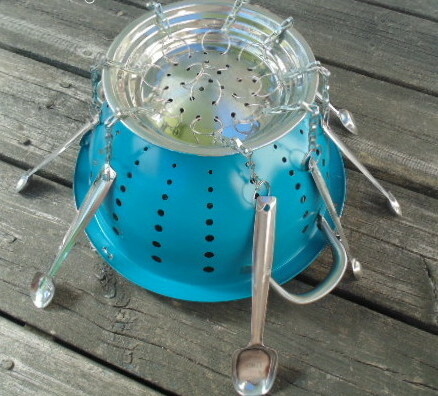 Instead of throwing them out, hang old lightweight kitchen utensils from the bottom of a colander, then flip it over and fill it with your favorite plant for a DIY planter and wind chime mix! 7. Use glass bottles to add some flair to small spaces. If you don’t have room for a backyard garden but would love to add some greenery to your space, cut an opening in the side of an old bottle. Add a little soil and place a plant or seeds inside! 8. Use old cans as plant holders. 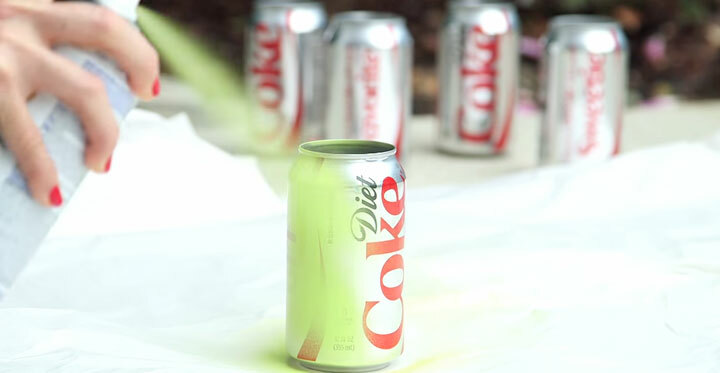 After washing out an empty can, use a can opener to remove the lid, then grab a can of paint and start spraying! Each can will probably need a couple coats of paint to cover the original logos, text and colors. 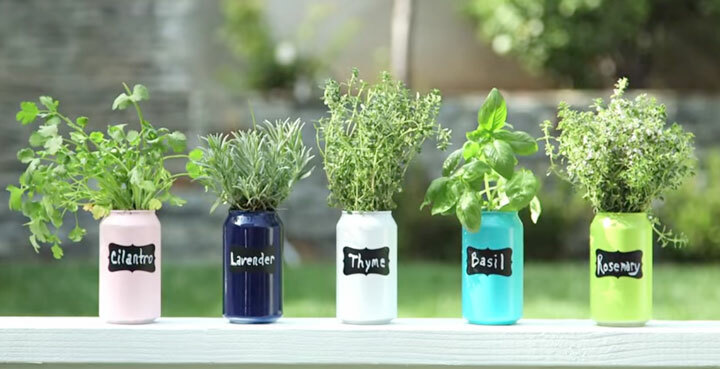 After your cans are dry, fill them with soil and plant your favorite herbs inside. You’ll be left with an instant herb garden that’s perfect for a small space, and requires minimal work. Check out this other cool gardening method! 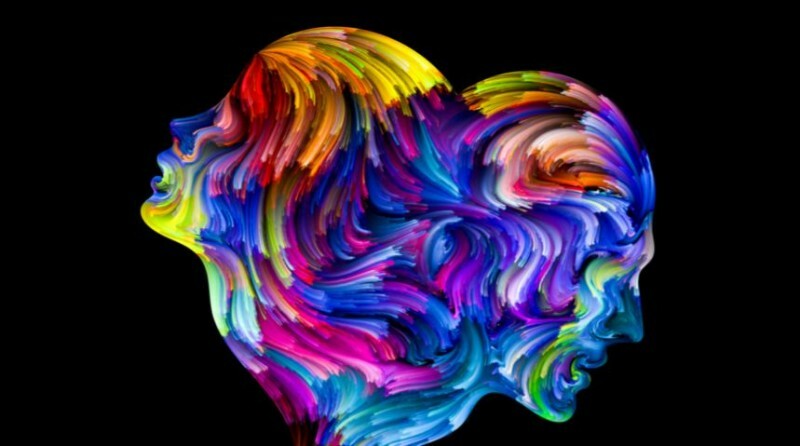 Next Article10 Things Extroverted Introverts Want You To Know! They didn’t say break the bottles and put the pointy end up. Well that was obvious by the picture but then you throw children in the mix and you could possibly have broken bottles sticking out of the ground…usaguy you are not very smart if you cannot put 2 and 2 together. This maybe a good idea if they were plastic bottles but I doubt it is a good idea to use glass as glass breaks/shatters and leaves sharp edges and then indicate it is a good way to keep children on the path. What child do you know would stay on the path when there is grass to play on? what if a child were to trip over and fall onto one of these glass bottles that are not broken with a pointy end pointing up?…would you risk your child? your PMS hasn’t passed yet, obviously. 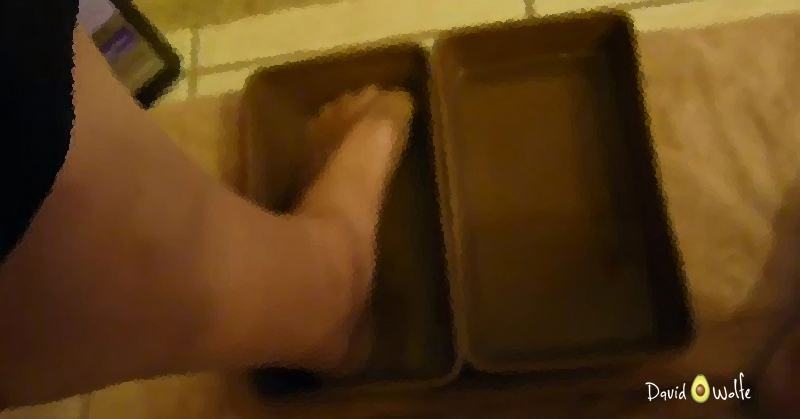 relax, bread out. admit. and let go of it. Perhaps John there is an assumption that you should use your own best judgement with any of these ideas. Gosh I get so tired of sanctimonious comments because someone didn’t write a 900+ page rider on how this will affect children, what ages, types, are they autistic, non-autistic but on the spectrum, tall, skinny, athletic, not athletic, mature for their age, wearing glasses, not wearing glasses, loud, quiet, quick to react, not quick to react, girl, boy, allergic to glass, GOD there might have been nuts in the bottle – do we need a nut alert as well, “just in case”? News flash John, some of us don’t have children in our garden and might actually like the idea and be able to take whatever precautions are required for our own garden and lifestyle. I have dogs, rambunctious dogs that would probably break one or two of them so my thoughts were – “Cool idea, but won’t work for us – I can just see the big throw rope in the middle of the tug of war being flicked at a bottle and having it smash” – why do you have to mock the person who posted it? – make the sweeping statement “dumb idea” – no, NOT a dumb idea, just won’t suit everyone – which would be basic common sense to most of us. You mean sanctimonious comments like yours? You are tired of people having an opinion? It is a dumb idea and I am entitled to my opinion as it would not suit me either and what about when you have a party and someone trips and falls…would you be covered with insurance for this totally stupid idea of lining an outside pathway with glass bottles? “If you have kids who love to play outside, use glass bottles to let them know where to step. Form a path using the bottles to make sure your garden doesn’t get trampled! Well, it was said before: if you’re not ashmed, do whatever you want. So he did. Rudely obnoxious for having an opinion? Since when did it become rude to have an opinion dumb@ss? I agree John. Plus it is a very unattractive look. Are you people that board that all you can do is run some ideas into the ground? They are just suggestion’s and of course what might work for one person might not be good for the next person.